The Japanese martial arts kendo (Japanese sword fencing) has a special place in my heart. I have always been fascinated by kendo also when I first saw the martial art on TV as a 17 year old. When I was in the mid-20s I worked a lot and I felt that lacked a connection between my head and my body. Instead up for a membership in the fitness center I visited the local kendo club. It was more elements to the martial art I was fascinated by beside the beautiful amour. Generally kendo is a martial arts where you through hard physical training for a longer period create the optimal balance between body, mind and soul. 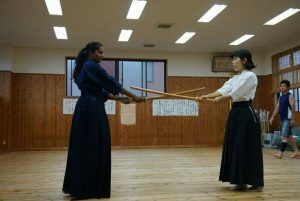 What I noticed especially at the time was that kendo is an attack martial art where you through the training strengthen your mindset, learn to control your emotions, get inner peace and balance and get physically fit. I like challenges and some of the techniques take 20 years to master so I thought that it was just the right martial art for me. I soon became very fond of kendo and the Japanese teacher noticed very soon that I was a quick learner. I am a competitive person and in short I began to attend competitions in Denmark and abroad. Yes, I have even won a 3-minute match in 8 seconds. 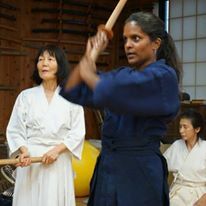 I have always been ambitious so I decided to travel to Tokyo in 2004 to be taught by some of the best instructors in the world. I trained in Tokyo at the best kendo club Yoshika dojo and trained at Tokai University where the most talented kendo player practiced. It was on my first trip to Japan where I experienced authentic Japanese sushi and Japanese cuisine. Unfortunately, it happened what all athletes fear when you practice for many hours per week. I got a knee injury and I went through surgery and I knew that my time as kendo player at a high level was over. I chose instead to follow the practise on the side and in 2014 I began to practice kendo kata. After knee operation I was still very fond of Japan, sushi and Japanese cuisine. I knew the hard practice from Japan. Japanese sushi chefs do also use techniques that take 20 years to master and the philosophy behind a Japanese sushi chefs work is almost the same as kendo. So ‘why not’ I thought. I quit my job and traveled to Los Angeles where I was trained to become a sushi chef and sake sommelier at California Sushi Academy. My Japanese teacher Toshi with 40 years of experience is very Japanese in his approach to his work. We were tested every 14 days. 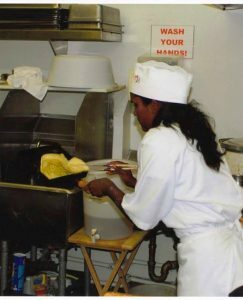 We were tested on skills, time, how clean our chefs uniforms and work was and how our sharp knives were. After the list was hung up so we could see what number we were on the list. Toshi also has a restaurant were we worked behind the sushi bar at lunchtime. 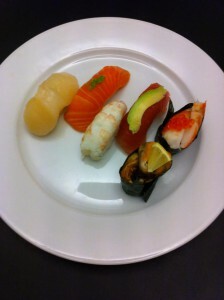 We also made sushi at private parties with celebrities and film companies in Los Angeles. 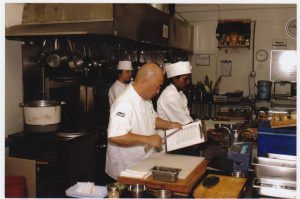 Besides being trained become a sushi chef we made every day classical dishes from the traditional cuisine to get a greater and deeper understanding of Japanese cuisine. We were also trained sake sommelier where we will taste several different types of sake. I prefer the Japanese way when it comes sushi. I prefer ‘Simplicity’ by that I mean sushi which looks simple but technically is it difficult to make. I think it is fascinating to be introduced to a nigiri technique that takes 20 years to master. 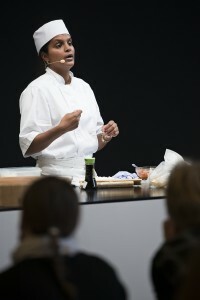 I do not compromise on quality and I use only the best in my teaching, private dining and pop-up sushi dinners. I prefer the raw materials simple and clean and like them to ‘shine’ on their own term. When strawberries are in season in summer I can eat the strawberries as they are. I do not need to add the whipped cream, sprinkles, liquid chocolate or anything else. The same applies if I eat a good Spanish sausage that I do not need topping and roasted onions. 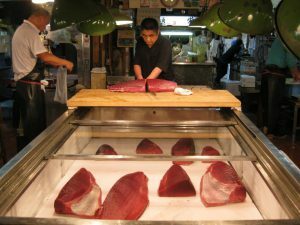 It also means that the sushi that I am making is so simple and as professional sushi chef & sake sommelier I have to know what I am doing otherwise I will fall through because you will be able to taste if the rice is not cooked properly or if the fish is cut incorrectly. I try to learn new skills myself all the time because I would like to give my attendants a unique experience and my diners a gastronomic experience. 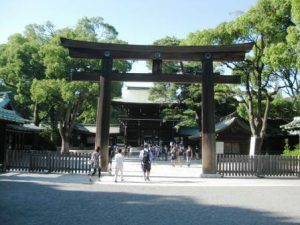 Since 2004 I traveled once a year to Japan. Today I feel just as much at home in Tokyo as I do in Copenhagen. 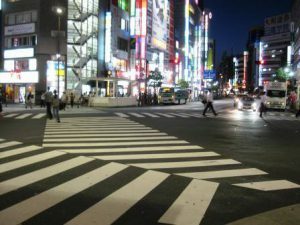 I have a large circle of friends in Tokyo and when I am in city I meet up with friends, explore the city and enjoy dining at Tokyo’s many restaurants. I consider the Kendo club Yoshinkan dojo as my kendo club when I am in Tokyo. I do not practice kendo anymore but instead I practice kendo kata. It is always a pleasure to practice with them and talk after the practice as we did when I in 2004 visited the club for the first time. As a sushi chef and sake sommelier I enjoy dining at Michelin sushi restaurants to expanded my horizons. I do also visit as many small restaurants and specialty stores to be inspired and get some new flavors. I also enjoy, explore Tokyo and other parts of Japan on my own. 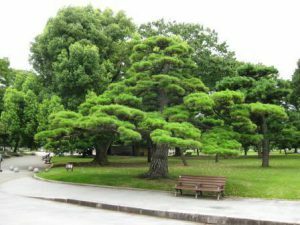 Culture, fashion, architecture, the Japanese Gardens, Tsukiji fish market, styles, fashion houses, museums, the silence in parks and calm hanging over the many shrines in Japan. Tokyo is a shining city that beats 24 hours a day.